So you bought iPhone 6. You love the understated styling of the aluminum enclosure and how the device feels in your hands. But iOS is a dog brain. It’s loyal and friendly, but you want more than a tail-wagger that needs to be let out to pee. HTC has your back, with the shockingly similar-looking One A9. The imitator gives you close-enough design benefits with the extra bang of the freshest Android (Marshmallow). Over the Black-Friday-to-Cyber-Monday weekend, one in ten A9 buyers moved up from iPhone 6 or 6s series devices, according to HTC. The manufacturer has a holiday special ending Jan. 7, 2016 that allures some switchers. Trade-in one of the Apples for full discount off the A9’s purchase price (HTC mails a $499.99 check after receiving the old device). Galaxy S6 and S6 Edge traders get $200 and LG3 and LG4 owners $100. Ten percent is a big number and somewhat validates the imitative strategy. Apple fanboys can leer and sneer, while bloggers blast snarks about copycating. Bottom line: HTC wants to sell more phones, and being similar to a market leader while offering something different is a tried-and-true retail strategy. The real question: Is HTC One A9 right for you, whether or not switching from iPhone, 6, 6s, 6 Plus, or 6s Plus? This review will help you sniff out meaningful benefits that could answer the question. I’ll say this at the start: The A9 is not state-of-the-art, and in that way differs from the HTC One M series smartphones that precede the iPhone wannabe. The manufacturer makes some design compromises to give that Apple look, but with Android inside. Let’s strip down the A9 by 10 Ses: Specs; screen; speed; size; style; software; setup; storage; sound; and shooter. The spec-list, while popular metric among buyers and sellers, is an anachronism. The measure that matters more: Benefits, which often are confused with features. The wrapper that goes around a coffee cup is a feature. Protecting your hand from burning is a benefit. While related, the two are different, and there are many features added to devices that offer no meaningful benefits. Think the same wrapper around a cup of room-temp water, as example. Battery life is acceptable, but not as long-lasting as Apple smartphones. Drain is noticeable when the A9 is used intensively, and many users may struggle to get a good day’s use under this scenario. That said, HTC’s phone supports Qualcomm’s Quick Charge feature, so you can top off fast. That’s a benefit for iPhone switchers. As for battery life, I again suspect HTC could squeeze out more if not for the homegrown Sense UI (see “Software” for more). The A9’s AMOLED display is 1080p, which exceeds the 1334 x 750 resolution of newer iPhones. Color and contrast are vivid and the overall look of the screen satisfies; the device gets some bang from Android’s Material Design but loses something from HTC’s Sense (see “Software” for more). Apple purists may argue that iPhone’s screen is superior, and debating them is pointless. But I must concede that the A9’s display lacks the pop of some Android competitors, such as Nexus 6P or Samsung Galaxy S6, both presenting 2560 x 1440 resolution. The 6P sells for the same price as the HTC One flagship and the S6 for $100 more (from Google and Amazon, respectively). That said, the A9’s screen should satisfy most anyone looking for an affordable, unlocked Android smartphone. The A9 is plenty responsive but not best of class. Still, in my testing, the phone is fast and fluid enough. That said, there is lag compared to Android smartphones running faster Snapdragons, such as the 800 series chips, during some scenarios. But the generous 3GB of RAM compensates, and I am convinced any lagginess is less about raw hardware capabilities and more about the extra toll placed by HTC Sense (again, see “Software” for more). Considering the overall package of benefits for the price, the A9 performs well enough. Audio and video streaming is smooth, as is web browsing and use of most apps. That said, GPS may muck the works. It’s not sugar-in-the-gas-tank bad, but can be close. Games can tax performance, sometimes, too. But, to reiterate, overall, the smartphone speeds along nicely. The HTC One A9 measures 145.75 x 70.8. x 7.26 mm and weighs 143 grams. Weight is same as iPhone 6s, which is slightly smaller (138.3 x 67.1 x 7.1 mm). Oh my, which is the iPhone 6? On the other side of the phone, A9 presents a different bit of muscle memory trauma by placing the power on/off button below that for sound. IPhone users will be accustomed to a power button top right, while users of many other Androids will be used to volume controls below power. I kind of understanding HTC’s reasoning for recessing the on/off switch where it is less likely to be accidentally accessed. But habits run deep on something so personal as a smartphone. The greatest and latest Android is inside this beauty, and that’s a huge benefit for switchers from any platform. Marshmallow is sweet through and through but burnt, too, by HTC Sense UI. I’m not a fan, from earlier One models or on the A9. I find font and menu adaptions to be visually unappealing; they take away from the freshness of Google’s Material Design. 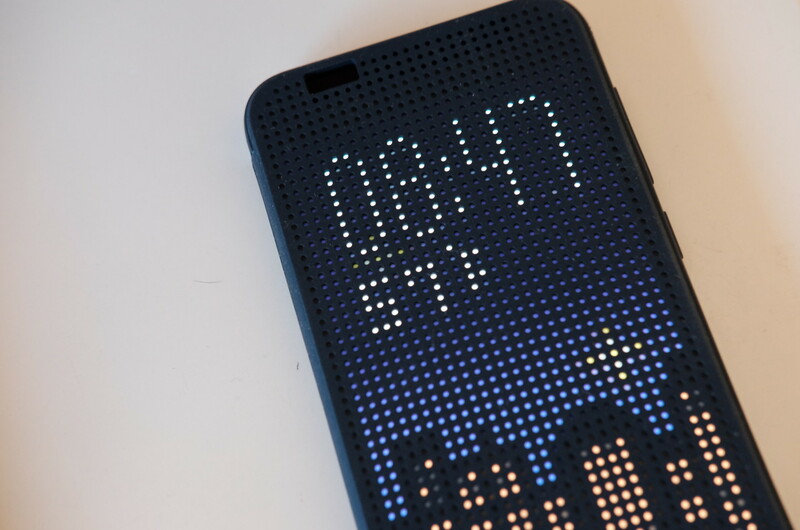 Meanwhile, HTC introduces duplicity and unnecessary system overhead. Some users will be confused by multiple apps for calendars, contacts, mail, photos, and such. The Sense phone dialer is clunky and strips away some of the auto-search-fill and caller ID features that Google provides in stock apps. I’m convinced that a purer Marshmallow would be speedier and less confusing. That said, BlinkFeed remains one of HTC’s best adaptions for providing news, weather, and other information to the Home screen. Other embellishments have their place, too, such as the new HyperLapse and stalwart Zoe. Summing up, HTC adds much with homegrown apps like BlinkFeed, HyperLapse, and Zoe, but diminishes Marshmallow and some of Google’s best apps with overly-permissive primping. 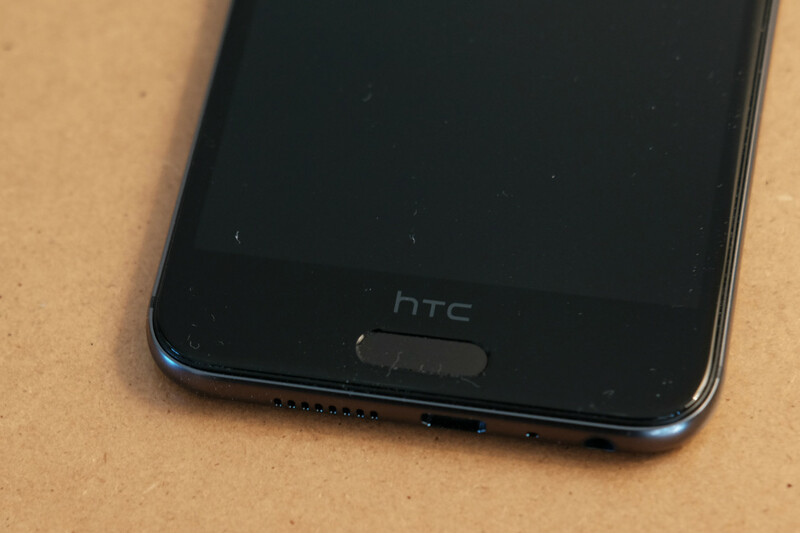 From there, HTC One A9 gets ready for use fairly quickly. iPhone switchers would benefit from setting up a Google account beforehand, if they don’t already have one, and ensuring bookmarks, calendars, contacts, etc. are synced to it. That will greatly improve the startup experience, which is similar to any Android released over the past couple years. Meaning: Google keeps it simple. I set up the unlocked model on T-Mobile, for which expected capabilities are available—namely WiFi calling. This kind of carrier flexibility and adaptability is a commendable benefit. Apple opted not to release a 32GB SKU for iPhone 6 or its successor; the entry model starts at 16GB then jumps to 64GB for an additional 100 bucks. The A9 costs considerably less than Apple’s $649 16 gigger, while providing something more: massive expansion—up to 2TB with microSD card. 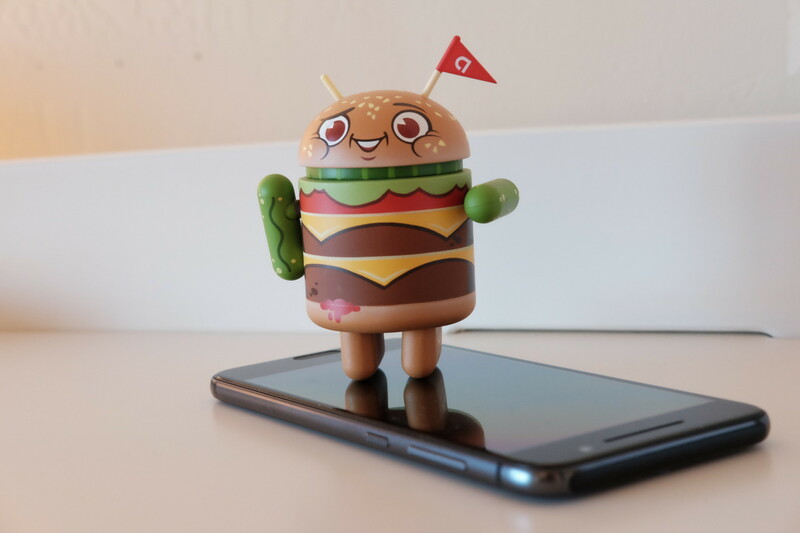 The feature also is a huge benefit for Android adopters. Google’s mobile OS has long supported expandable storage, which is a feature with measured benefits. If you don’t have first-hand experience with the kind of frustrating calamities that occur, check out any smartphone manufacturer’s support forums for horror stories that make the newest “Paranormal Activity” movie (why was there ever more than one) seem like an episode of “Sesame Street”. Marshmallow ends the terror. The platform features “adoptable storage” that lets microSD cards truly act like the gigabytes inside the device. Under Settings, Storage & USB, users can (and should) choose to “format as internal”, understanding that if there is content on the card that Android 6 will erase it. Once enabled, Marshmallow will essentially treat all storage singly. 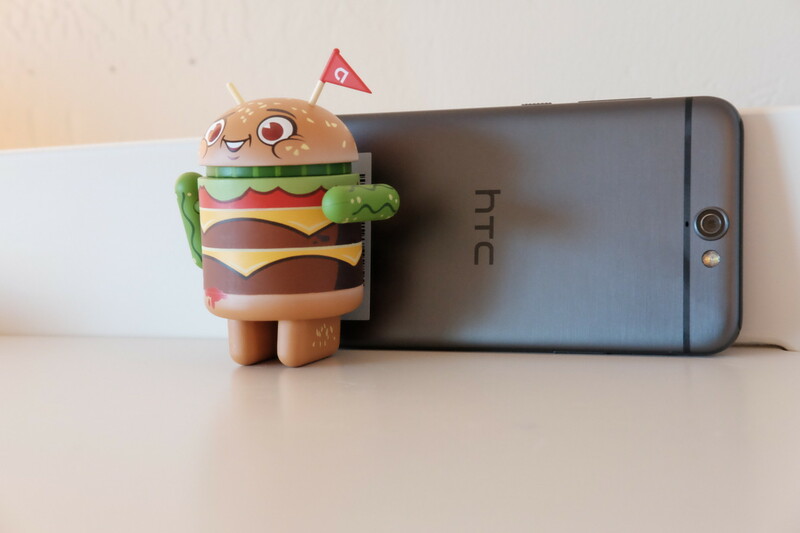 It’s a huge benefit available because HTC chose to ship with the the current operating system. The A9’s audio experience is as good as iPhone 6 and 6s series, with sound bellowing out a sideways grill. But HTC sacrifices one of the One series’ defining design characteristics: front-facing BoomSound speakers flanking the screen. Other manufacturers adopt the style, which pops up, among other smartphones: Google Nexus 5X and 6P; Motorola Moto X and Nexus 6; and most other HTC smartphones. I’m convinced that flanking speakers take away from rather than add to the overall user experience. As previously mentioned, the M8 and M9 are unwieldy in part because of the design, which I can’t see appealing to the majority of users. If it did, Apple would have adopted front-facing speakers long ago. Most people listen with earpieces or headphones, I suspect. 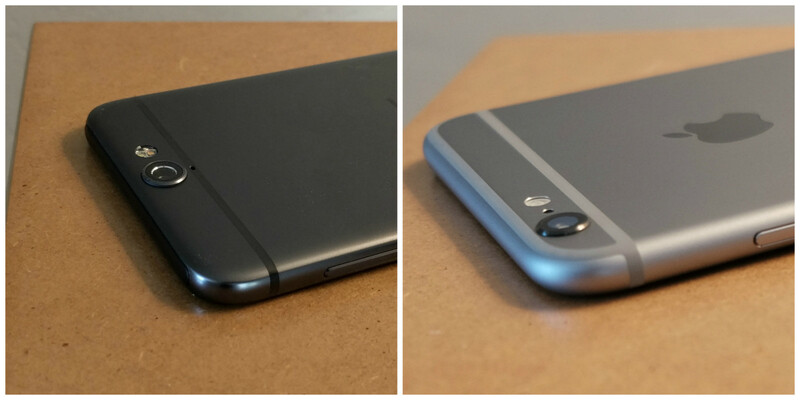 Also, the single grill (placed on the bottom in portrait mode) is what iPhone switchers will be accustomed to using. If you have seen any recent iPhone commercials, Apple vigorously flaunts camera capabilities; you could come away thinking no other handset could be as good and that your fancy digicam is outdated. Put down the Kool-Aid! There are worthy Android shooters, and HTC One A9 is among their ranks. 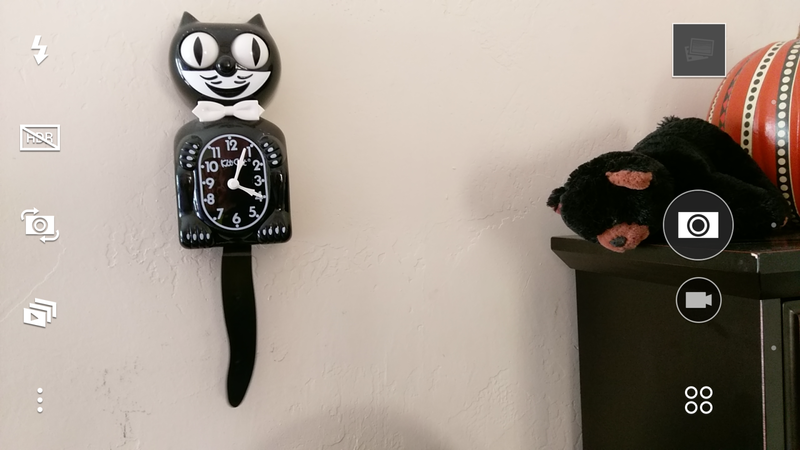 In my testing, from the 13MP f/2 rear camera, color and contrast are plenty pleasing. Nice-to-have extras: manual controls and RAW support. Oh yeah, there is optical image stabilization, which Apple only offers on the pricier and larger iPhone 6 Plus or 6s Plus. OIS is pretty sweet for the selling price, Aperture and stabilization together will deliver many more usable shots captured in low light. 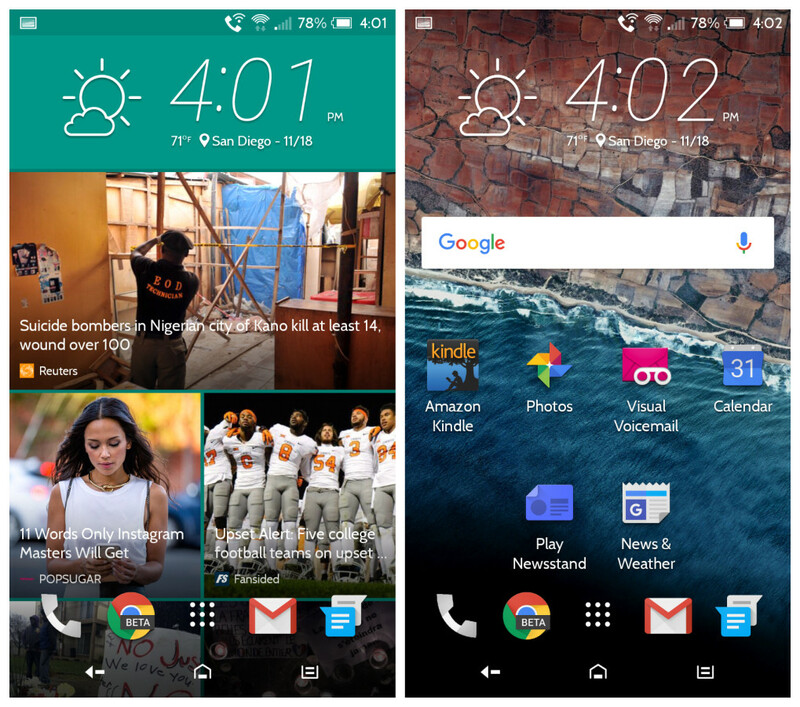 For Android adopters, HTC’s biggest problem is one of image—that’s perception, not photography. The company touted the 4MP UltraPixel camera found on the M8 and M9 as a low-light darling. But the camera compromised too much. The revamped rear-shooter, using Sony sensor, delivers; don’t let past promises get in the way. Got to say: There is much I like about the UltraPixel camera, which remains, but on the front, where it is more capable and more appropriate. Get out the selfie stick and head to the rave. Those in-door venues should sing from the larger pixels (2 µm; 1.1 or 1.55 is more typical), which capture more light. iPhone 6s: 1.22 µm. So there’s another benefit for switchers. The two-cam combo isn’t best of class for straight shooting, but the extra features, and benefits they deliver, give great value and can produce pleasing photos that will make iPhone users gush with envy. As for video, front and rear cameras shoot 1080p. By contrast, iPhone 6s only gives 720p on the front, but 4K on the back. The A9 shines, however, with OIS for video, which to repeat, isn’t available on either of Apple’s 4.7-inch screen smartphones. As I write, my father-in-law, who turns 94 later this week, possesses the HTC One A9. He agreed to being test subject and moved up from iPhone 5s. That’s a challenging migration considering his advanced age, the jump in device size (4-inch to 5-inch screen), and dramatic change in the mobile platforms. Watching how he adapts, or fails to, helps me to anecdotally benchmark HTC’s imitative objectives. If this old guy can adapt from the 5s, and perhaps enjoy the change, maybe the A9 can be a switcher’s option for iPhone 6 or 6s owners. I may give a report on his experience in the future. 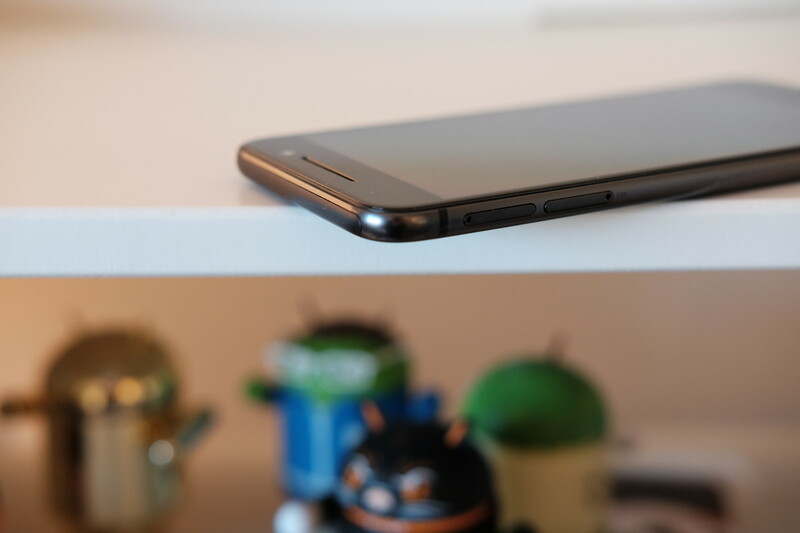 Wrapping up, the HTC One A9 is one of the oddest smartphones to come across my reviews desk. By the raw specs, the device is overpriced compared to, say, Moto X Pure Edition and Nexus 5X or 6P. But as a measure of combined benefits, particularly for anyone wanting an Android iPhone, the A9 is a compelling choice. Is it right for you? You tell me. Editor’s Note: A version of this review appears on BetaNews.